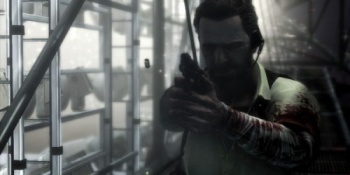 The first Max Payne 3 screenshots in two years have sparked rumors that the game is soon to get a full reveal. Back in the dark ages of 2009, Rockstar released several screenshots of a bald, fat Max Payne running pell-mell through the jungle, looking like Bruce Willis after eight weeks of nothing but Sloppy Joes and burritos. The fans were, to put it mildly, displeased. two years later, Rockstar Vancouver has released two new screens with Max sporting a full head of hair. Looks like Rockstar understands a very important fact: Hell hath no fury like a fanboy scorned. The surprising release of screenshots after two years of silence have led some to begin hopefully muttering about an upcoming reveal. Though Max Payne 3 isn't mentioned on parent company Take-Two's release list, it did comment, "We're still working hard on Max, and we'll have more news in the coming months." This was back in December, putting us squarely in that "coming months" time-frame. This, combined with the words "He's coming" attached to the screenshots on Twitter, seems to lend credence to the rumors of some upcoming reveal or big announcement concerning the game. For those uninitiated in the world of Max Payne, he's an emotionally tortured, pill-popping, bullet-timing, monologue-reading undercover detective in a noir-style world of deception and drug-crazed lunatics with Norse mythological undertones. Both previous Max Payne games were critical darlings, though sales on Max Payne 2: The Fall of Max Payne left something to be desired. Little is known of the new game other than that it is set in Sao Paulo 12 years after the end of the last game. It will be the first game in the Max Payne series to not be developed by Remedy Entertainment and written by Sam Lake, the creator of the series, which has stirred some doubt amongst fans as to how the it will stand up next to the previous installments.